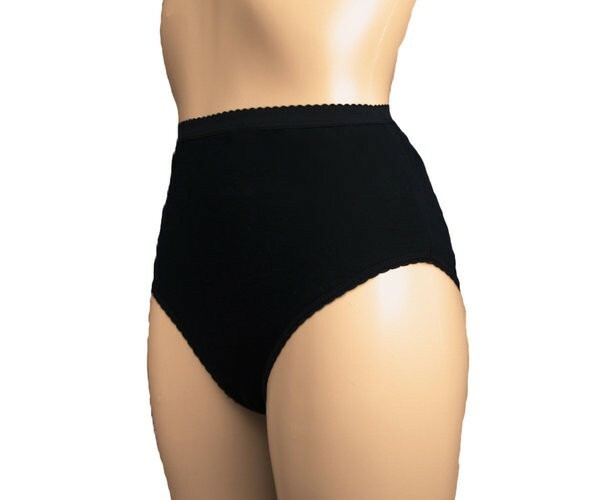 Ladies incontinence pants are designed for managing light to moderate incontinence. They can be worn with disposable pads to provide an extra barrier layer. The pants feature a concealed inner waterproof liner to ensure they provide maximum protection. Designed from 100% cotton, the pants provide a comfortable fit and are gentle on the skin. These pants are designed to look and feel just like normal underwear, allowing you to enjoy an active lifestyle with incontinence. These Ladies Protective Pants are suitable for IBS and faecal incontinence. The pants are ideal for both night time and day time usage, and are machine washable at 40 degrees. Featuring an elasticated waist and legs, the pants provide optimum protection to keep you feeling confident throughout the day.